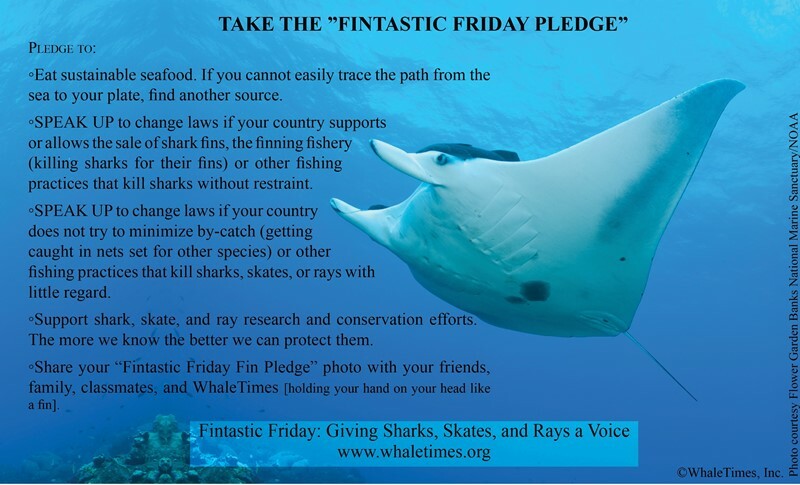 WhaleTimes created Fintastic Friday: Giving Sharks, Skates, and Rays a Voice to help raise awareness and encourage advocacy to protect elasmobranchs. This special annual holiday is celebrated worldwide, and it’s THIS *Friday May 11, 2018. WhaleTimes believes kids are the future of sharks. No one is louder and more enthusiastic than a kid who cares. Not only do we want kids kids from all over the world cheering, SAVE THE SHARKS on this special holiday, we want them cheering for sharks every day. ZONE IT! Let’s make the ocean one giant shark conservation zone! Start small. 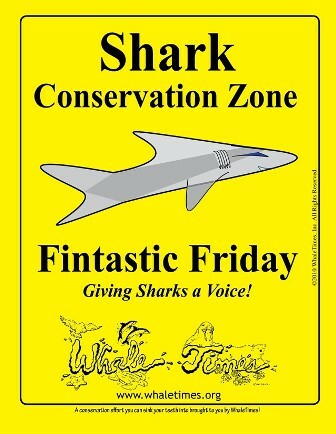 Make your room, house, school, even grandma’s rocking chair a shark conservation zone. 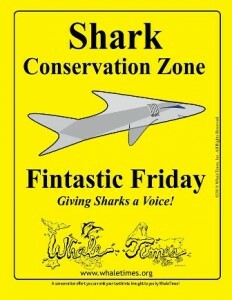 Just print and post our shark conservation sign. Ask your friends, “Are you zoned, then tell them where to get their sign. 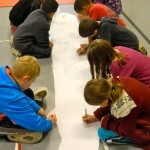 Kids in Oregon make a thank you for Dean Grubbs, Florida State University Coastal and Marine Lab. SAY THANK YOU IN A BIG WAY! Scientists are helping to save sharks. Thank them with a big as life thank you. 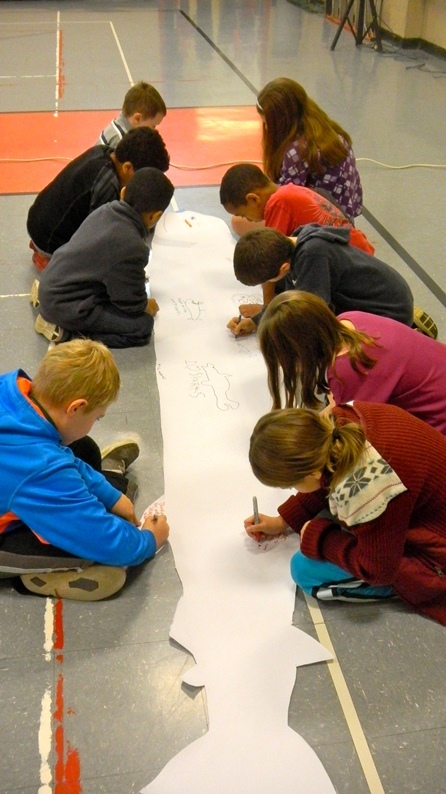 Draw your favorite shark, skate, or ray…make it life size if you can – from a small carpetshark to a giant angelshark. Sign it, have your friends sign and mail it to your favorite scientists. Eat sustainable seafood. If you cannot easily trace the path from the sea to your plate, find another source. SPEAK UP to change laws if your country supports or allows the sale of shark fins, the finning fishery (killing sharks for their fins) or other fishing practices that kill sharks without restraint. SPEAK UP to change laws if your country does not try to minimize by-catch (getting caught in nets set for other species) or other fishing practices that kill sharks, skates, or rays with little regard. 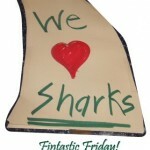 Support shark, skate, and ray research and conservation efforts. The more we know the better we can protect them. Share your “Fintastic Friday Fin Pledge” photo with your friends, family, classmates, and WhaleTimes (a photo of you holding your hand on your head like a fin). 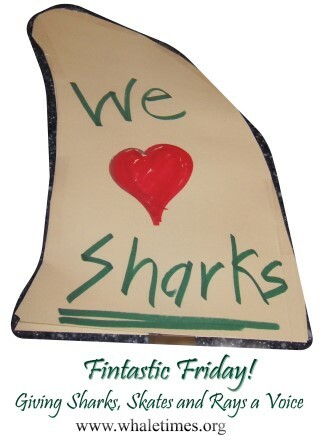 SPREAD THE WORD Share or like Fintastic Friday on the WhaleTimes Facebook page. 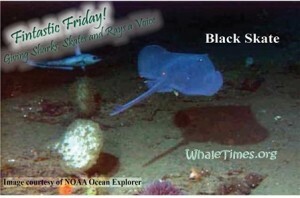 Rachel Graham: This Friday is an important holiday: Fintastic Friday: Giving Sharks, Skates and Rays a Voice. Someone giving sharks a voice is Dr. Rachel Graham with MarAlliance. She is one of the amazing scientists I was lucky enough to include in MISSION: SHARK RESCUE. To learn more about Rachel and her research and efforts to save sharks and other animals visit MarAlliance (www.maralliance.org) . You don’t have to have a PhD in science to save sharks. There are many citizen scientists stepping up to the plate trying to make a difference. What can you do to help sharks? How can you put your talents to work to save sharks? Learn more about saving sharks. Discover more about sharks, meet some amazing scientists who study them, and discover other ways you can help save sharks. 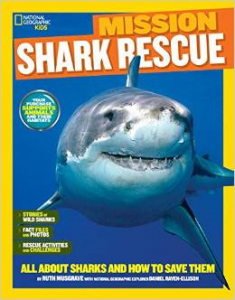 Read National Geographic Kids MISSION SHARK RESCUE: ALL ABOUT SHARKS AND HOW TO SAVE THEM, available now Amazon, Barnes & Noble, National Geographic Books, or your favorite book seller. 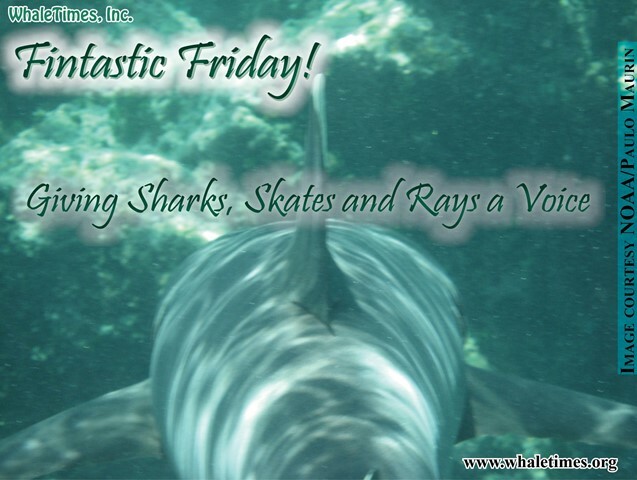 How will you celebrate and protect sharks, skates, and rays? Let’s save sharks by celebrating them!